Auto Village Center is a quality, highly respectable auto repair shop that serves Myrtle Beach and the surrounding areas. 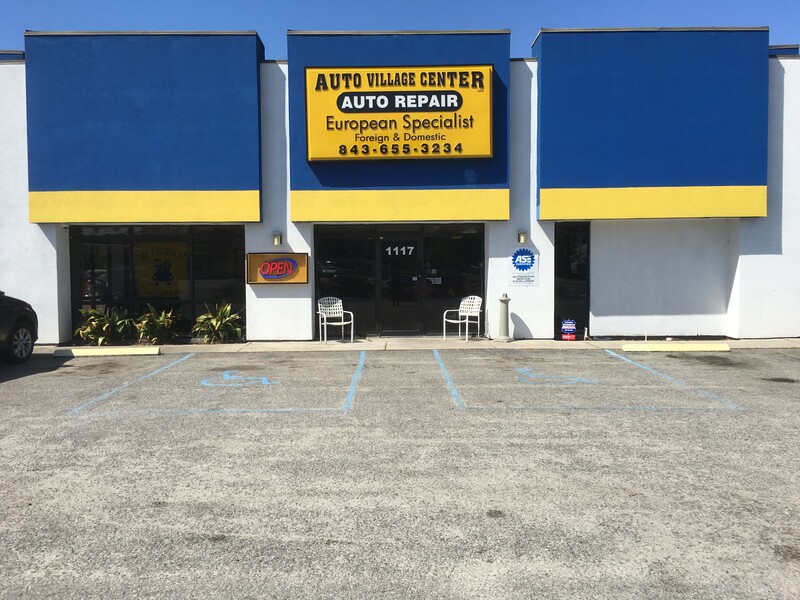 For more than 30 years, our family-owned and operated company has been serving the area’s demands for upscale European auto care. We take pride in exceeding our customers’ expectations. As a family-owned business, we make sure they feel right at home as soon as they walk through the door. Our driven, highly trained crew members are reliable, focused, and professional, and we offer our customers an extended warranty on service. We look forward to handling all of your vehicle’s repairs. If you’re within a five-mile radius of our auto repair shop in Myrtle Beach, SC, we’ll come pick up your car if it’s drive-able and then drop it off when it’s fixed. Call Auto Village Center today to set up your car repair estimate or service appointment. You can now track the service history performed on your vehicle for FREE with MyCARFAX!